By Lachlan Smith – Head Audiologist B.Sc (VS, Path). M.AudSt. MAudSA(CCP). In the last few years of seeing clients and conducting hearing tests I see the same mistakes that people make when it comes to their hearing. Modern hearing aids are packed with amazing technology to help you hear better in noise as well as stream audio from your smartphone and TV and unfortunately people leave it too long before they do something about it. In this article i’ve sumarised the main misconceptions and mistakes people make, as well as provide some tips and guidance so you can avoid making them yourself. The team at Hearing Choices is availabel to answer any questions about hearing aids. There are nearly 6 million people in Australia that suffer from hearing loss. Yet, there are far too many that choose to ignore their hearing issues. Severe hearing loss is hard to ignore, it makes it impossible to hear even speech in quiet environments. However, for those with mild to moderate hearing loss which is most significant when in noisy environments or group conversations, many people choose to ignore the issue. Not only are there more devices available for moderate sufferers, (the more discreet, invisible in the ear devices are generally not obtainable for more severe hearing losses), the longer you go without amplification the worse your hearing can get due to brain atrophy. When it comes to your hearing health, don’t procrastinate – Book a free consultation today. Hearing aids generally produce the best outcomes for those with a moderate loss. While they won’t cure your hearing issues completely, the latest hearing aid technology can change your life. However, it’s really important you choose the right technology for your hearing needs. Have issues hearing in group conversations? How about in a loud restaurant? No problems! Features such as directional microphones and background noise cancellation will have you hearing effortlessly in noisy environments. Hearing Aids come in a number of technology levels, as you go up in levels the level of noise cancellation and their performance in noisy environments improves. If it’s in the louder environments you struggle in most, don’t settle for anything less than a mid-range device with the features I just mentioned above. Yes, you may save a bit of money upfront, but you won’t get the full benefit you require and will inevitably stop wearing them. It’s always better to spend $4600 on something you’ll actually use than $1500 on something you’ll leave on your bedside table. If you’re a homebody and only need a bit of amplification to hear the television and your partner around the house the more affordable hearing aid options would benefit you. But don’t expect miracles when things start to get a bit louder around you. Having a clear understanding of what the symptoms you suffer from and the environments you struggle in most will dictate the technology level and price range of the devices you need. Hearing Choices has some of the best prices on Hearing Aids in Australia, Get help finding the right device for you here. A general rule of thumb when it comes to buying anything retail in Australia is: bricks and mortar stores expensive, online/ecommerce more affordable. This rule most certainly applies in the Australian hearing industry. National chains have significantly higher overheads than online providers. I mean, just think about the rent clinics situated in shopping centres are paying? They have to cover these costs somewhere and unfortunately for their customers its usually hidden in the margin they make on hearing aid sales. Patients of mine often cite the unlimited aftercare and decade’s worth of batteries they throw in to justify the more than $10,000 price tag! Don’t get sucked in. Most online providers include at a number of face to face appointments with a clinician in the hearing aid prices they quote. In my humble opinion this is ample. If the hearing aids are setup correctly, in most cases you shouldn’t have to see a patient more than a couple of visits to get the settings right. Someone who is wearing hearing aids for the first time will need a couple more visits to get it right, but even so, if you have to pay to see a hearing professional a couple of times on top of the visits included, you still end up saving yourself a considerable amount of money. Find out how much you could save. Oh but what about the 4 years’ worth of batteries these national chains “bundle in”? If you buy your batteries online you can pay as little as $100 for a 12 month supply. Certainly not pricey enough to command a 20-30% premium on hearing aids which the chains will try and justify to you. Don’t want to make the same mistakes? Sign up for a free consultation! I touched on this briefly above. Invisible In the Canal (IICs) devices are all the rage and companies advertise these tiny devices like they’re going out of fashion. Unfortunately, only a small percentage of hearing loss sufferers can wear them. 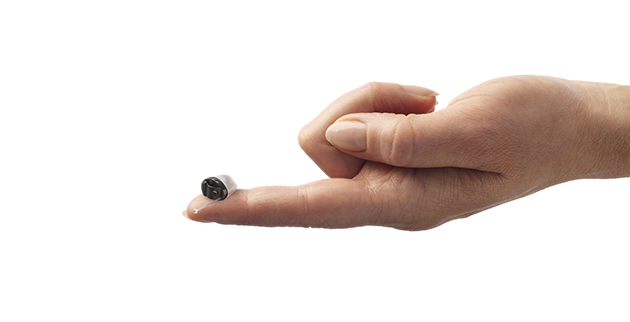 When it comes to hearing aids, smaller isn’t necessarily better. The tiny devices that fit completely inside your ear canal are not big enough to house the technology and specs that are common in behind the ear devices. This spells bad news for anyone with a slightly worse than moderate hearing loss. Want to hear effectively in noise? Stream calls from your smartphone straight to your hearing aids? You can forget about it with IICs. They’re just not large enough to house these features or batteries big enough to power the. Another thing they don’t tell you about custom in the ear devices is how frequently they need to be fixed or serviced. I tell all my patients to expect to be without their invisible hearing aids at least 2-3 times a year while they’re sent back to the manufacturer for servicing. The new RIC devices are also absolutely tiny, have a look below! It’s not something many clinics tell their patients and it often results in customer frustration. It’s a harsh reality, but in-the-ear devices are far more prone to damage and wear and tear than behind the ear options. Get all the facts about hearing aids BEFORE you buy a pair! Hearing aids will not cure your hearing or make you hear the same way you did as an 18-year-old. They also won’t give you bat-like hearing in loud environments. Sorry to break it to you. It’s just important to keep your expectations in check before putting on your first pair. It’s always difficult to hear in loud restaurants and cafes. Even people with perfect hearing get distracted by all the noise around them. If you’ve been battling hearing loss for a few years you tend to forget this. What’s important is finding the right device for your budget and level of hearing loss and working with your clinician to get the best outcome possible. Ready to trial a pair of the latest devices? Get in touch with me here. Don’t get sucked into buying a pair of hearing aids from overseas. Yes they’re cheaper. Yes they’re the exact same models that you can purchase here. But buyer beware! You’re not backed by any local warranties if they break. If they need servicing, you won’t be able to send it back to a local manufacturer. Instead you’ll be forced to spend weeks without them should they need to be shipped back overseas. Not only are you on your own if they break, you’ll find it difficult to find a local clinician that will program and fit them for you. I know trying to find a bargain is tempting. Keep the bargain hunting to clothes and shoe shopping. Buying hearing aids from overseas is not a risk worth taking. Don’t get me started on the hearing aids they advertise for $29.99! Putting those in your ears can cause more harm to your hearing. I’ve seen dozens of clients who have purchased a cheap device only to find out that they are rubbish, don’t think a modern hearing aid is the same. The hearing aid manufacturers spend billions in R&D every year and the differences are night and day. 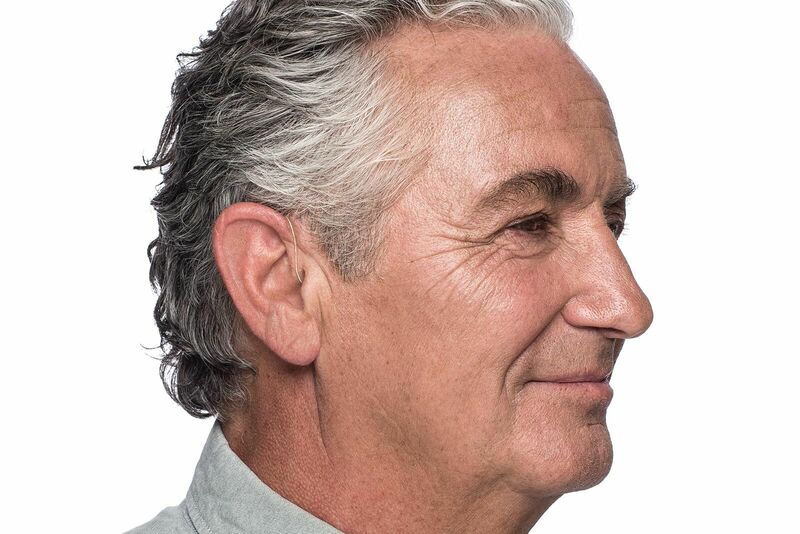 Don’t commit to a pair of hearing aids until you’re absolutely certain they work and are the right pair for you! Most providers nowadays provide trials or money back periods on hearing aid purchases. Make sure any risk free trial period allows you to take the hearing aids home. It’s vital that you’re able to test your new hearing aids in all the various listening environments you tend to find yourself in. It takes time for your brain to adjust to your new hearing aids. It’s why you’ll never have a new pair of hearing aids programmed to your optimal level on the first go. It takes a couple of sessions to get the programming and tuning right. 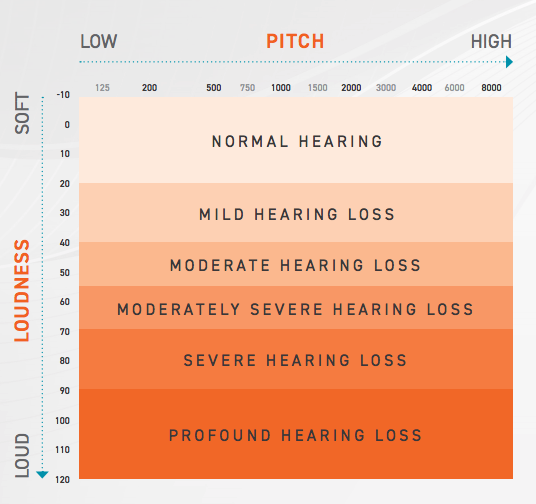 Don’t be disheartened if your hearing aids don’t seem ‘perfect’ in the first instance. The associated service you receive with your hearing aid purchase is vital for a great hearing outcome. Don’t settle for subpar hearing health care. Book a comprehensive test and consultation now! The hearing aid industry is a strange beast. It’s the only healthcare niche where manufacturers have their own retail footprint. That’s right, if you chance upon a manufacturer owned clinic, they’ll only recommend you their own products. All hearing aids are designed to do the same thing, help you hear better again. Yet, each brand has their own subtle benefits and one brand might be more suited to your hearing needs than another. The only way to really work out which brand is the perfect ‘fit’ for you is by choosing to be seen by a clinician. Some hearing care providers are not aligned with any one manufacturer and have the liberty to promote any brand they feel would benefit you most. For frank and honest hearing care always visit a qualified clinician. I hope the above provides some clarity around hearing aids and addresses any preconceived misconceptions you may have about the hearing industry. 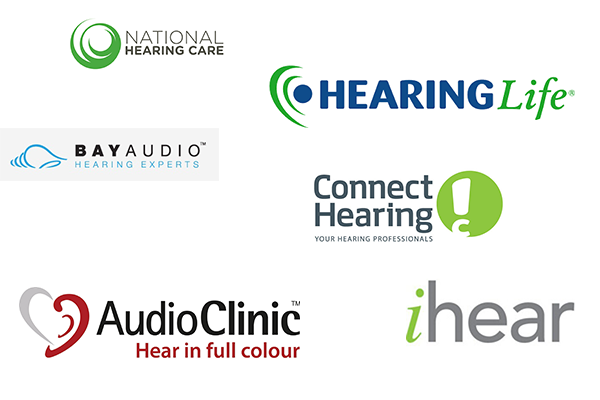 If you’re on the hunt for a new pair of hearing aids or looking for some advice get in touch for a comprehensive hearing test and consultation today. Hearing Choices has clinic locations in convenient locations around Australia. The first step is to book in a free phone consultation with someone on the team who can answer any questions, provide preliminary advice and if appropriate arrange a face to face consultation at your local clinic. Need a quote of further advice? Send me a message below! Lachlan Smith B.Sc (VS, Path). M.AudSt. MAudSA(CCP). Lachlan Smith is chief Audiologist at Hearing Choices, runs his own clinics and is the only person in Australia with a Masters Degree in both Audiology and Optometry. What do you think? I have had a test and this is what they suggest . Hi Neil, it’s impossible to give a recommendation without knowing your lifestyle or type of hearing loss. We suggest to start with the lower level of technology, see how you go, and then move up if you’re not getting the perfomance required. Was your clinic independent or a large national chain?